Log into your account and click your account name visible on the top right-hand corner of the screen. Click on Account Settings on the drop-down menu. 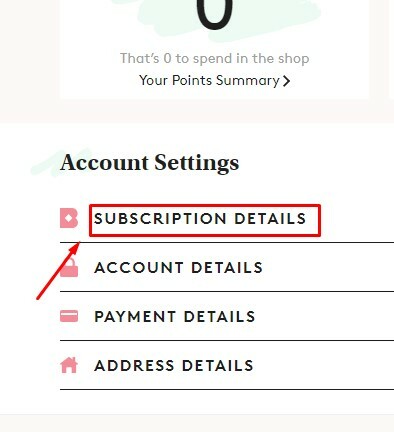 Click on Change My Subscription option which appears under the Subscription Details heading. At the bottom of the page, click on Cancel Your Subscription. Note 1: If you have already been billed for the current month, your cancellation will become valid during the next billing cycle. Note 2: Keep in mind that 3, 6 or 12-month ongoing subscriptions cannot be cancelled by yourself. 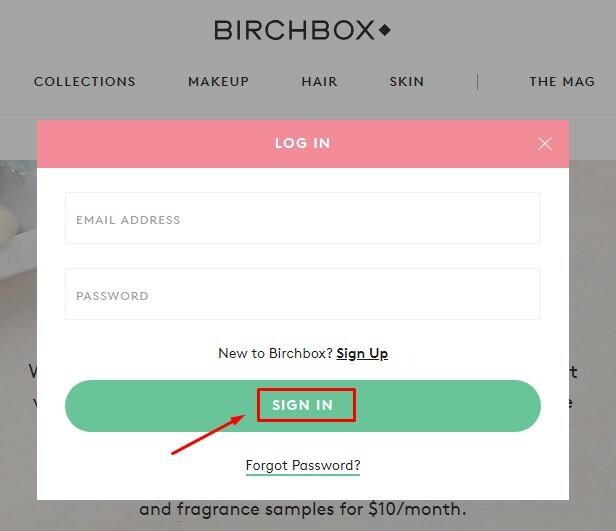 You are required to contact Birchbox directly to cancellation.